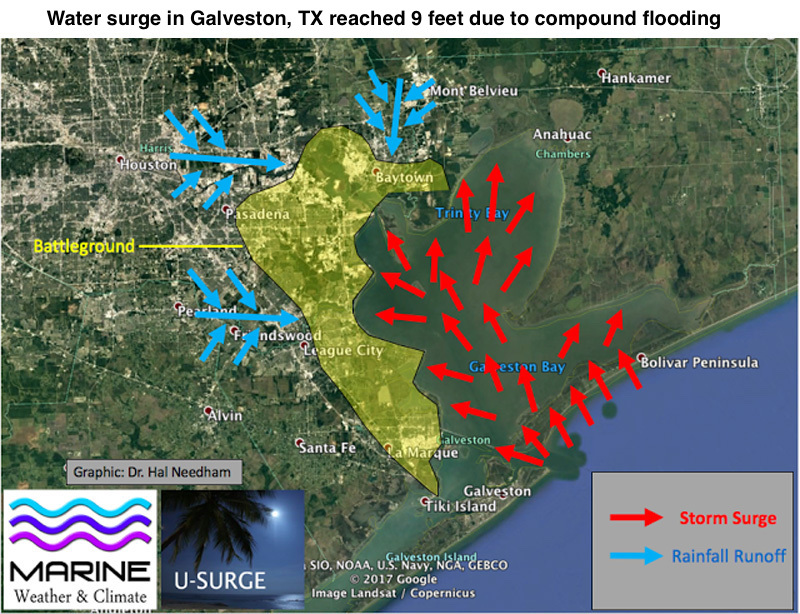 Original text with graphic: Catastrophic compound (rain/surge) flooding may occur where storm surge impedes torrential rains from running off into places like Galveston Bay. The yellow area depicts a battle ground where fresh water and salt water could collide. In Galveston, the sea surge was about 3 feet, but the actual water surge was about 9 feet due to compound flooding.